From hurricanes, to earthquakes, to terror attacks, and numerous other disasters, being able to communicate to your friends and family that you’re ok is something everyone should have a plan for. 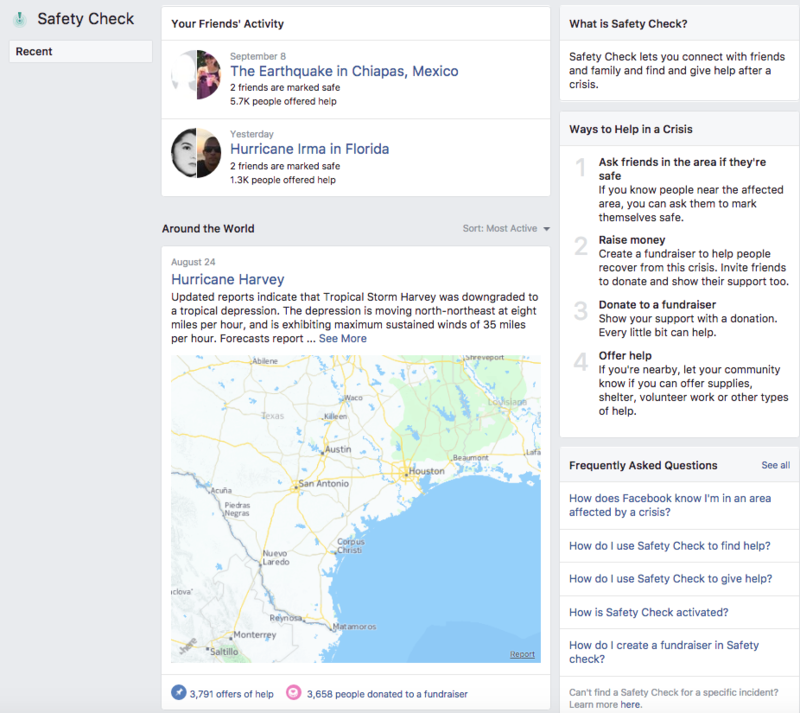 With the popularity of Facebook, that is one way to get the word out and Facebook has made that easier with the Facebook Safety Check. 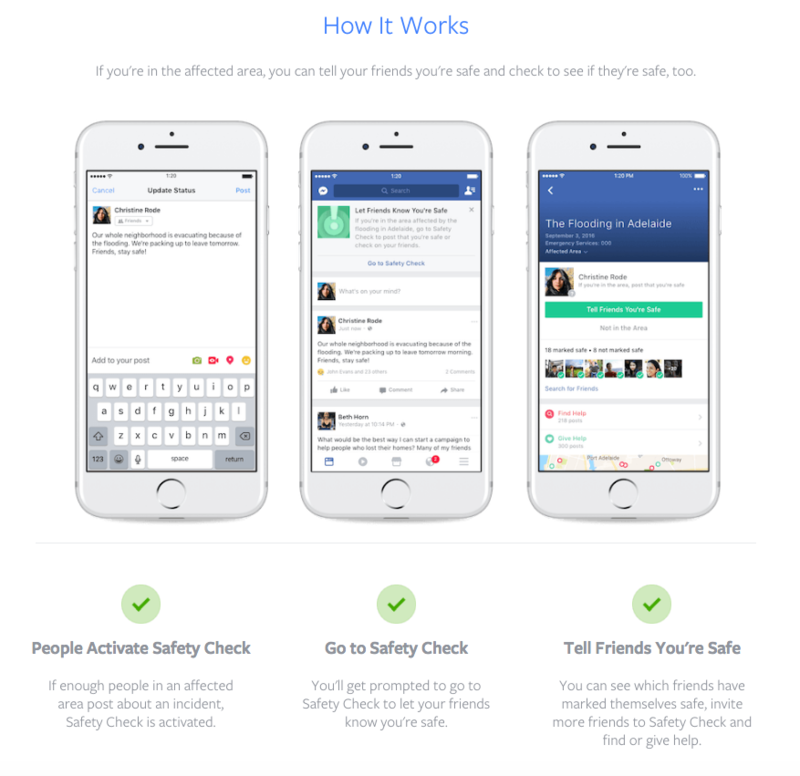 Facebook automatically activates Safety Check if multiple people in an affected area post about an incident. 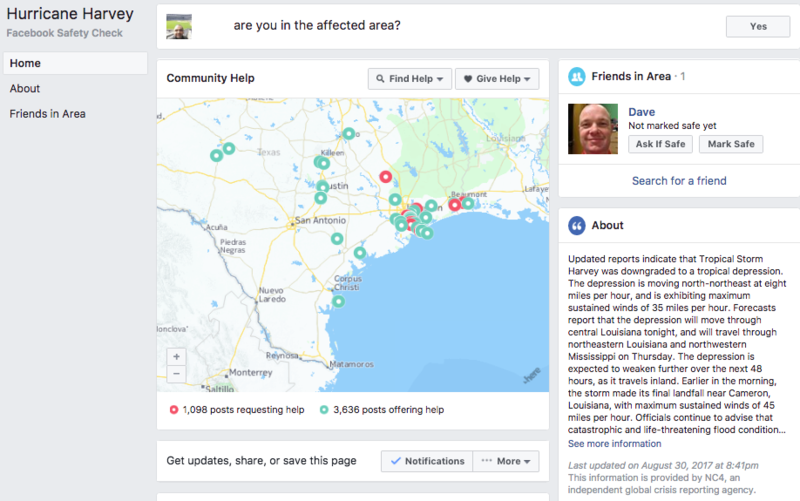 If Facebook knows you’re in an affected area, they will show you a notification that lets you click and tell people “I’m Safe”. As soon as you click “I’m safe, Facebook will automatically create a post on your wall telling your friends and family that you are safe. If Facebook doesn’t register you in an area, you can always go to the Facebook Safety Check area yourself. On the main page you will see a list of any friends or family who have checked in from a posted event. You will also see a list of events around the world. You can click on any of the listed events. Once you select an event, you will see a prompt asking you if you are in the affected area. If you click yes, you will then trigger the prompt where you can select “I’m Safe”. In addition, if you have friends or family that are listed as being in that area, you can “ask if safe”. With the fact that Facebook is known globally, and has over 1 billion monthly global users, this seems to just make sense as a way to easily notify friends and family after an event.